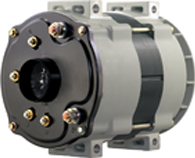 The DelStar Series, heavy duty brushless alternators are an integral charging system of an innovative design. 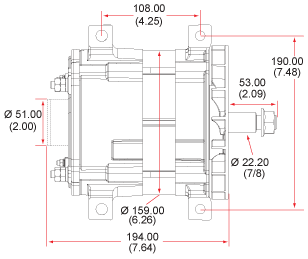 The compact, heavy duty construction provides efficiency and increased service life expected to match the longer maintenance intervals of today’s engines, while providing a performance level without parallel. 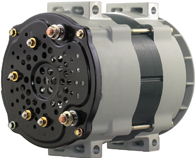 The DelStar alternators are extremely efficient and high amperage output. Ensure alternator cables are adequate to handle the alternator output current. Voltage drop between Alternator B+ (Output Terminal) and Battery B+ (Positive Terminal) should not exceed 0.5 Volts drop at full alternator output. NOTICE: Specifications and connections provided are believed to be correct at the time of publication. Verify connections before replacing the unit.